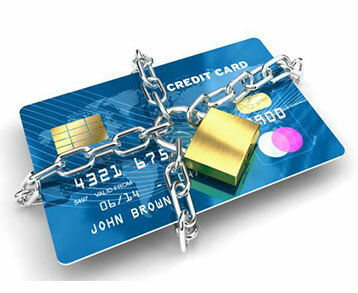 One of the simplest ways to avoid credit card fraud is by keeping your credit cards safe from thieves. Place your credit cards in a purse or wallet close to your body where it can’t easily be snatched away. If you’re shopping in a high traffic area, carry a smaller purse because it’s harder to steal or sneak into. For both men and women, carry only the one or two credit and debit cards you’ll be using that day. Leave all your other credit cards at home. Thieves can take pictures of your credit card with a camera or cell phone, so don’t leave your credit card exposed any longer than necessary. After you make a purchase put your credit card away immediately. Confirm you have your credit card back in your possession before you leave the store or restaurant. Don’t toss your credit card billing statements directly into the trash – they typically have your full credit card number printed on time. Shred them to keep dumpster divers from getting their hands on your credit card number. The same thing applies to old credit cards that have expired or been canceled. You can go a step further and put the shredded pieces in different trash bags for the extra eager thieves who might put shredded pages back together. Always verify the amount on your credit card receipt before signing it. If you get a credit card receipt that has blank spaces in it, write $0 in those spaces or draw through them before putting your signature on the card. Otherwise, the cashier could write in an amount and send the purchase to your credit card issuer. Only give your credit card number or other sensitive information on calls you initiate. Not only that, when you call your credit card issuer’s customer service, use the number on the back of your credit card. Don’t return calls to a phone number left on your answering machine or sent to you in an email or text message. It’s hard to be sure a scammer hasn’t left a fake number for you to call. Don’t give your credit card number to anyone who calls you requesting the number. Credit card thieves have been known to pose as credit card issuers and other businesses to trick you into giving out your credit card number. Be safe with your credit card online. Don’t click on email links from anyone that looks like your bank, credit card company, or other business who uses your personal information, even if the email looks legitimate. These links are often phishing scams and the scammers want to trick you into entering your login information on their fake website. Instead, go directly to that business’s website to login to your account. Make sure you’re cautious when you’re using your credit card online. Only enter your credit card number on secure websites that you can be 100% sure are legitimate. To be sure a website is secure, look for https:// in the address bar and lock in the lower right corner of your internet browser. Taking these extra steps will help you avoid credit card fraud. The sooner you report a missing credit card the sooner your credit card issuer can cancel your credit card and prevent fraudulent charges. Reporting your lost or stolen credit card as soon as possible lowers the likelihood that you’ll have to pay for any fraudulent charges made on your credit card. Write down your credit card companies’ customer service number now so you’ll have them if your credit cards are ever missing. Review your billing statements each month. Unauthorized charges on your credit card are the first sign of credit card fraud. If you notice a charge you didn’t make, no matter how small, report the charge to your credit card issuer immediately. Your credit card issuer will tell you whether you should close your account and get a new account number to avoid credit card fraud. Your credit card number may be stored in several places online. For example, you may save your credit card on Amazon, so you can make one-click purchases. Make sure you use strong passwords – a combination of upper- and lower-case characters, numbers, and even characters – and avoid writing or sharing your password. Check gas stations and ATMs for credit card skimmers. Credit card thieves sometimes place credit card skimming devices onto the credit card readers at gas pumps or ATMs. These skimmers capture and store your credit card information and credit card thieves come back later to get the device. Skimmers are placed on the regular credit card swipe, so if anything looks off about the place you’re swiping your credit card, go to another gas station or ATM.